Well it has been a few days since I arrived back, but I should do a round up of the trip home after the breakdown at St Marys. After a good nights sleep at the hotel I had breakfast and wandered down the street to the garage to pick up my bike and hopefully make it back to Ulverstone where I was staying while in Tassie. I arrived just as the owner was opening up for the morning. He served a customer while I took the battery off charge. Once the battery was re-installed I push my bike to the fuel pump to fill the tank. Wanting to conserve all the battery power I could. I had also disconnected all auxiliary power and the headlights. I walked in to pay and asked how much for the fuel and his efforts to get me back on the road. He would only accept payment for the fuel saying that he was happy to help and would do the same for anyone. Its a rare thing to find friendly service like that anywhere. I left St Marys with the thought that I will definitely return to the town some time. 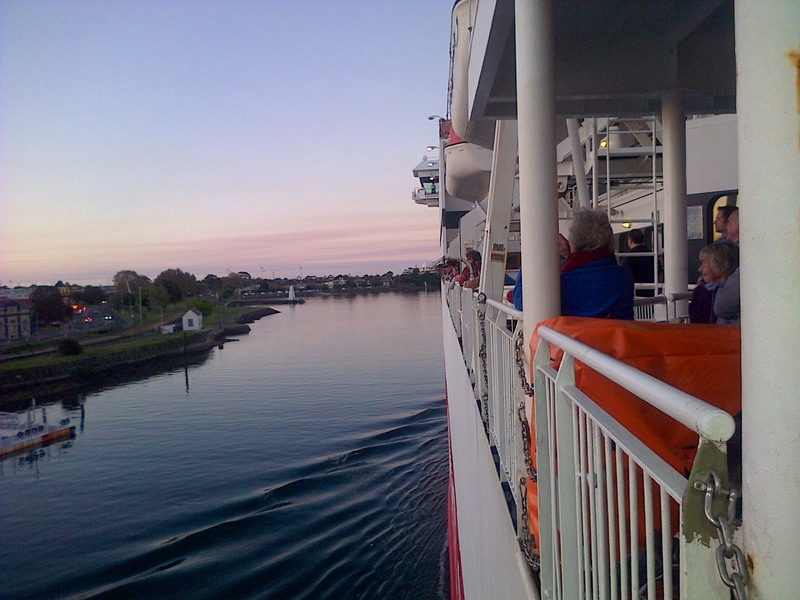 The ride home was very uneventful and arrived at Ulverstone within about 2.5 hours. I stopped in at a motorcycle shop that is now owned by an old school mate and purchased a new battery. Once I arrived back at the inlaws I put the battery on to charge. 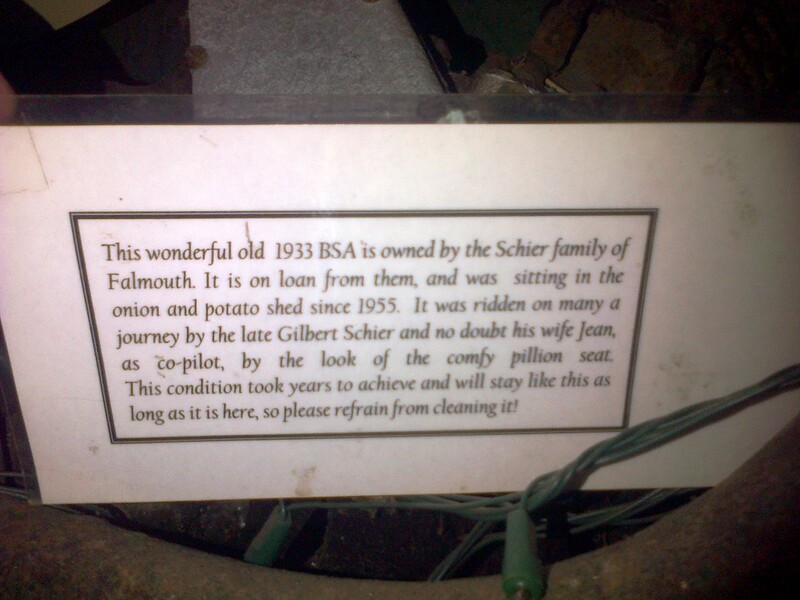 I had sadly missed out on the promise of curried Scallops the night before. My wife then informed me that they hadn’t forgotten me. 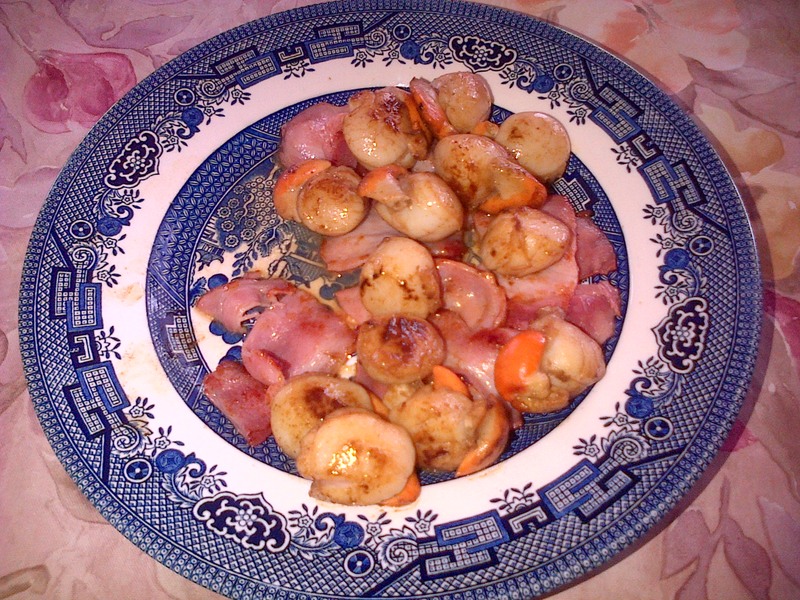 Tasmanian Scallops are the best. this was so Yum. It was time to leave my home state. This was only a short visit and now it was time to see if my bike would make it back to South Australia. I had a fully charged battery in the bike and a spare in the pannier. earlier in the day I decided that I would book a cabin to ensure a good nights sleep as it was a 730km ride back home the following morning. I arrived at the pier and was asked to fall in behind the other motorcycles. After turning the bend I filled in behind about 100 Outlaw Motorcyclist again. Boy I was glad to have upgraded to a cabin. Not quite so many on the trip back and they were well behaved on the boat. I awoke well rested the next morning and soon found my way to the Western Highway towards Ballarat. I had no issues with the bike and arrived home by about 3pm. However I am now left wondering what was wrong with my bike. if it was the alternator the battery should have been flat but was showing no signs of it. I guess I have that mystery to follow up on. I didn’t manage a lot of sleep during the ferry crossing. I had just booked a recliner chair and it was difficult to sleep due to the noise from other occupants. One chap decided to call his family at 2am. Not very thoughtful of him. The crossing itself was quite smooth and had I had a cabin I’m sure I would have slept well the whole night. I pack some of the items I had into my back pack and after a trip to the bathroom for a wash, etc, I went to the dining room area and made myself a coffee and read a book for an hour or so to pass the time. The ship arrived at the port at its expected time of 07:00 and we were soon called to our vehicles as the hatches would soon be opened up. I have done this trip many times and knew it would be another 10 minutes before people would be able to drive off. 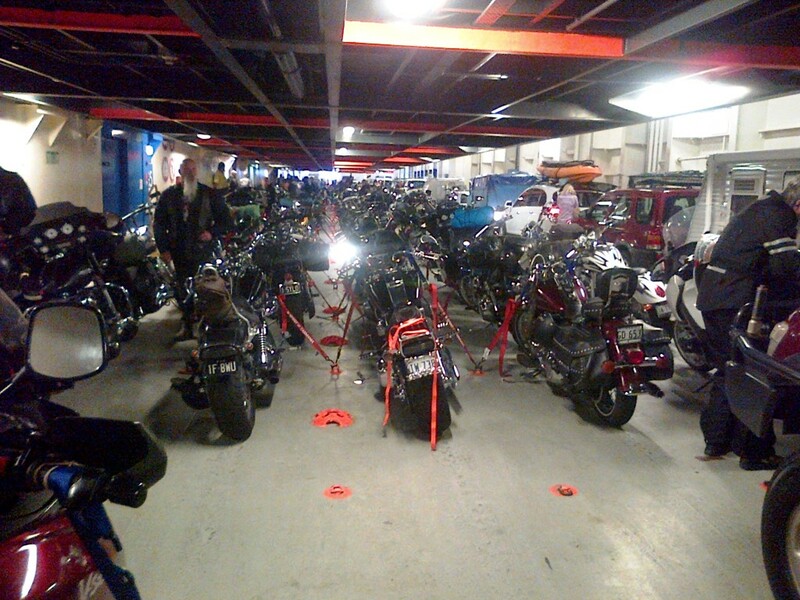 All the members of the Outlaw Bikie club came down and were packing their bikes. As they finished packing they decided to warm up their bike even though everyone had been ask to wait until the hatches were open and they were directed to move out. The main reason for this is because the ship soon fills with exhaust fumes. Not to mention the noise competition that commenced. So after chocking on fumes for 15 minutes or so we made our way off the ship and through quarantine. We quickly headed through there and as we turned the final bent off the wharf area we were met by the police. I was approached by an officer and asked if I was a member of the “Outlaw Bikie Gang” to which I responded no as I was there just to visit my and my wife’s parents. To my surprise the officer then said I could go on my way. I gathered by the amount of sniffer dogs that they may have been looking more for drugs rather than the fruit the quarantine officers normally look for. Maybe they check for drugs for good reason but I couldn’t help thinking that they, the bikies, had all been put in the bad egg basket. But the officers had a job to do. But I was free to leave and leave I did. I headed for the inlaws house where my wife had arrived the previous afternoon. The day was overcast but not raining. It’s a good highway from Devonport to Ulverstone and not too far so I arrived just before 8am. After such a poor night’s sleep I decided it best to get a few hours sleep and make a decision then if I should start the FarRide. After dozing for a few hour I got up and had a shower and thought yes it was a good time to start the FarRide. There is a link to FarRiders on the right column of my blog that explains what FarRiders is and what its about. I have been doing them since about 2009. But only do the rides now when to I have time free. I planned to do a bit over 500km that day and got a start docket of 1.37pm. that would leave me an easy ride to complete the FarRide the next morning. 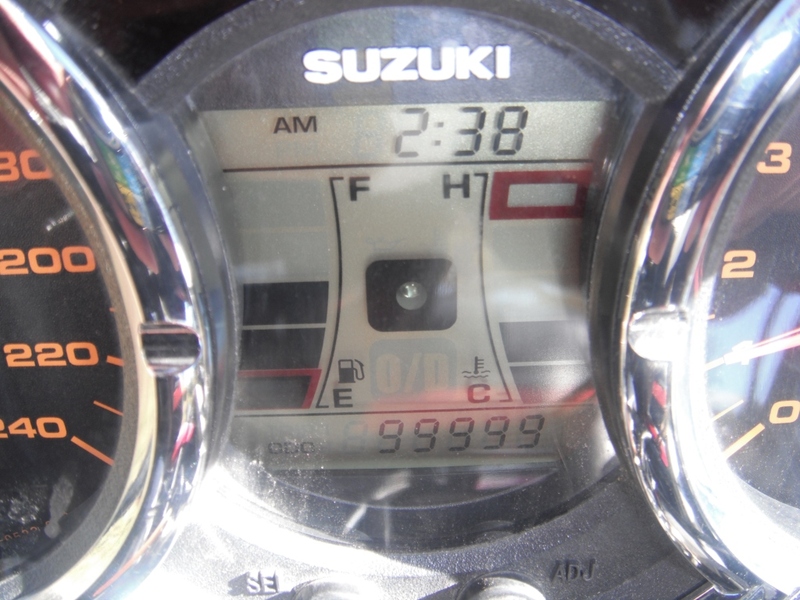 My start km was 99833. 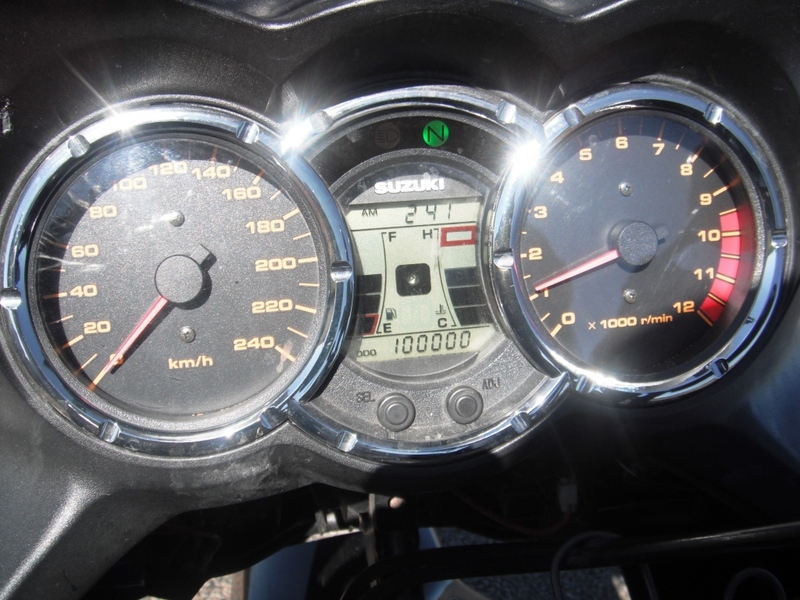 I guess this ride will tick the 100,000km mark for me. As I started the ride the weather improved all the time and by midafternoon was mainly sunny. 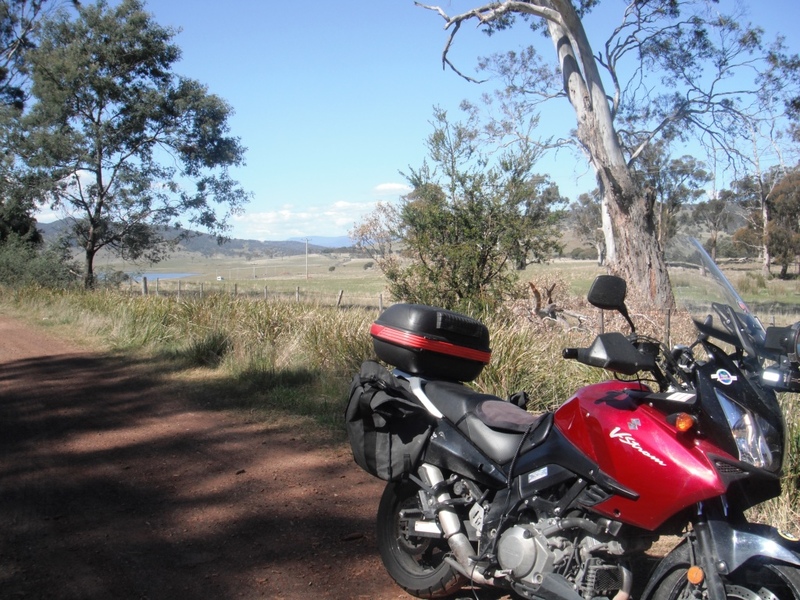 I planned to ride from Ulverstone to St Helens via St Marys. Some excellent bike roads are in Tassie and I planned to ride North West of St Helen towards Scottsdale. 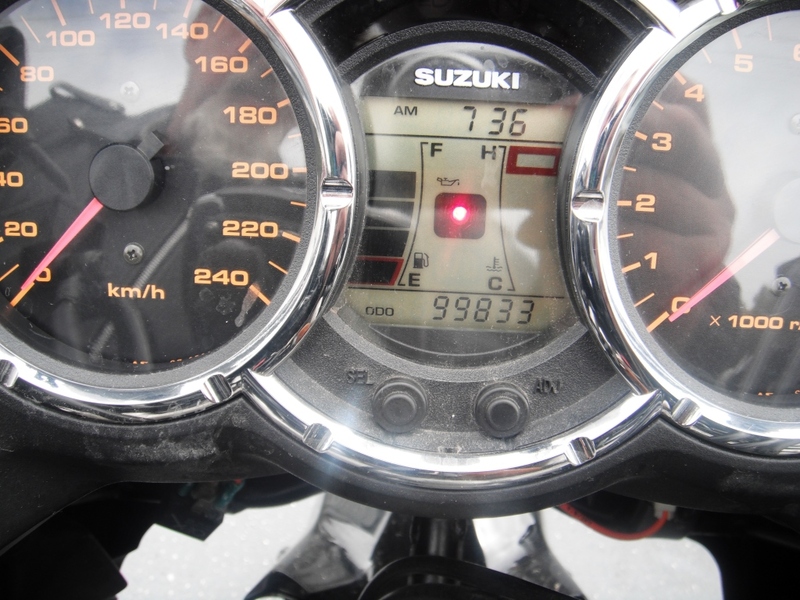 Well sure enough I rode through the 100,000km mark. I was fairly pleased with this as apart from a fouled fuel injector I have only ever paid for and done regular servicing. I continued on towards St Helens and travelled through a few town but was conscious of the time and pressed on and didn’t stop for scenic photo’s. I was heading down towards St Marys and looking forward to the pass that heads down to St Helens. As I arrived in town my bike started to misfire which progressively got worse. The engine misfire got so bad that I pulled to the side of the road and the bike just stopped. I had a look for obvious problems but when I turned the ignition on and off there was no signs of power at all apart from the time display. As luck has it I had stopped right in front of a garage. I went in and asked if the mechanic could have a look for me. He was a little hesitant and said he had managed to dodge motorcycles for the last 20 years. Anyway he had a look and the diagnosis was a dead alternator. I wasn’t going anywhere quick. He said he was happy to put the battery on charge for the night and hopefully it would get me home the next morning. 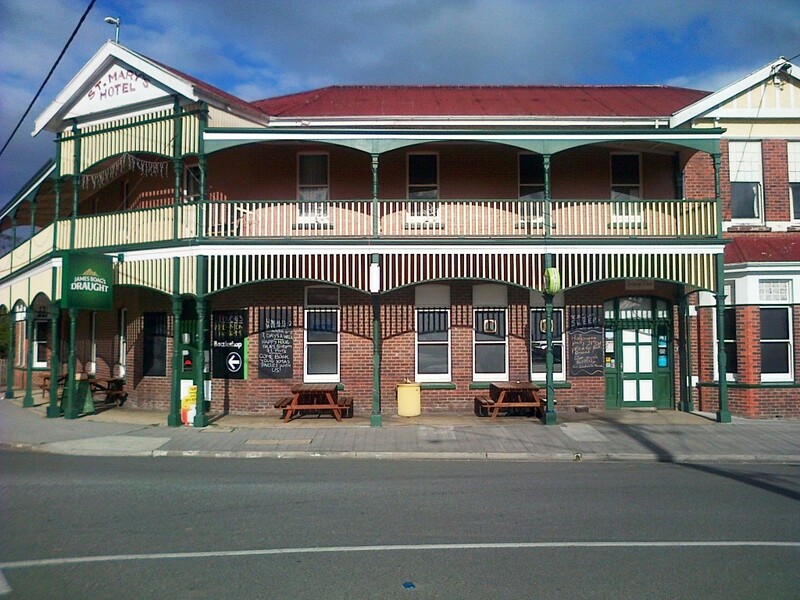 I needed accommodation and just up the road was the St Marys Hotel. Guess that was as good a spot as any. I was greeted by a lady who was very friendly and helpful and the room was arranged. I quickly dropped my gear in my room which was very clean and quite good for the price I paid. It was a double room and the $60 included breakfast. I grabbed a couple of items needed for an unplanned overnight stop and headed back to the Hotel. By this time it was 6pm and so I settled in at the bar for a cleansing ale or 2. After all I may as well enjoy my misfortune. I had a great evening and I couldn’t ask for better company. The locals are a great lot who made me feel welcome. I was becoming quite hungry and all I had for lunch was a bowl of soup. 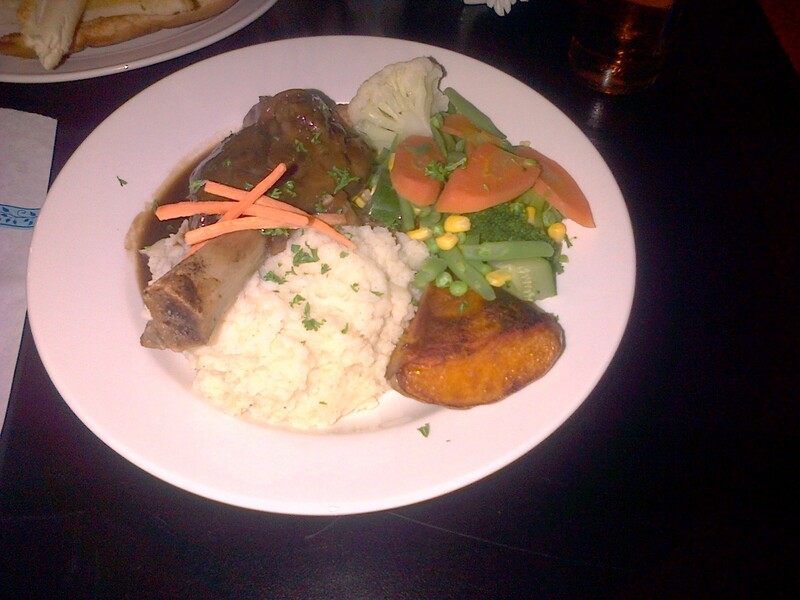 I noticed Lamb shanks on the menu and thought that was what I would have. I asked for the small serve as I wanted some bread also. Glad I ordered the small as it was a huge meal! There was no way I was going to get through this. And by the way it tasted fantastic but I just couldn’t finish it. How anyone could get through a large serve I wouldn’t know. The night continued on but by about 10:30pm I thought it best to get to bed for a good night sleep. If anyone happens to be passing by this pub and wants an overnight stay with a meal in a friendly pub then do yourself a favour and stay here. Even if it takes you an hour to get there “Stay Here” you will not regret it. I was so impressed with their hospitality that I will put a permanent link to their site on the side bar of my blog. Having just flown in the previous evening I was fair tired and so stayed in bed a little longer then I normally would and did not get away until 09:40. I was heading for Port Melbourne to catch the ferry to Tasmania for the Tas FarRide #17. The ferry didn’t leave until 19:30 but all vehicles needed to be there by 18:30 to get on board. 730 km in 8hrs 50mins. Should be easily doable if no hold ups along the way. 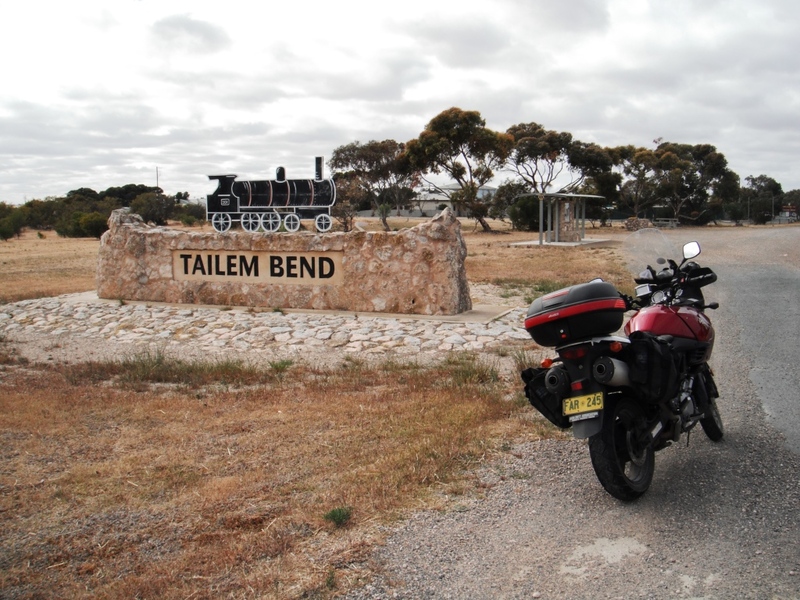 Smooth getaway with my first fuel stop at Tailem Bend. The GPS said I had 4 minutes stationary. No bad. The weather looked progressively worse as I got closer to the South Australia, Victoria boarder. It was getting on for lunch time so I thought that I would wait to put on my wet weather gear till then or at least until it rained heavy enough that it need to be put on. Well I actually managed to dodge the down pours fairly well and just caught the skirt of one shower which resulted in just my knees getting slightly wet. I didn’t need to stop until I reached Nhill. 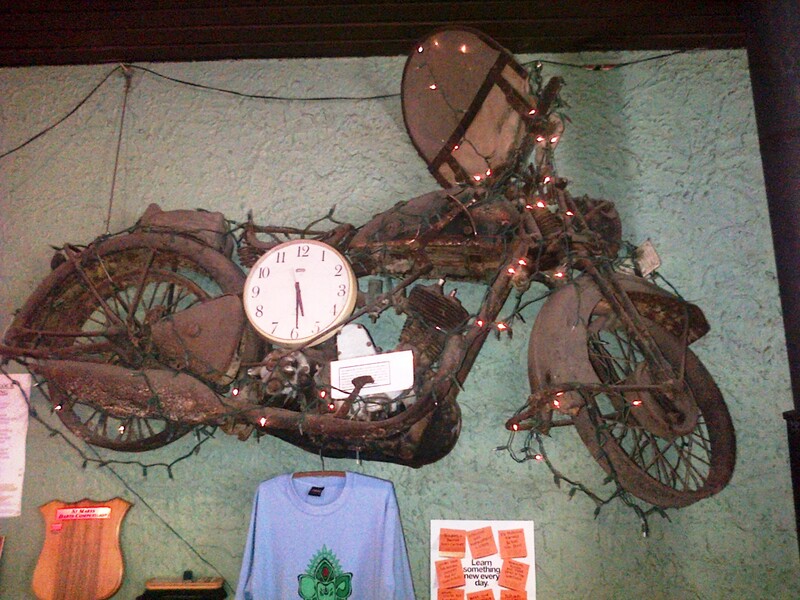 I fueled up again and went inside the roadhouse restaurant to see what food they had to offer. As I just wanted to have a quick feed and a coffee I went for the ever chancy bain-marie food. I just hoped it was okay as I was get on the ferry and didn’t want food poisoning while walking on a floor that would be moving underneath me. 2 dim sums, 2 potato cakes and a chicko served to fill the spot left vacant since dinner last night. As it turned out it was fine. I checked the GPS and it had taken just 15 minutes to refuel and have a feed. Happy with that. I was on my way again and it was smooth sailing again and making good time. Then about 10 km short of Horsham I was following a large 4 WD about 300 metres ahead of me. At the same moment I noticed a vehicle, a black Mercedes pulling to a stop from a road to the left. The 4WD indicated to turn left. By this time I had closed the gap to about 100 metres. Have you ever had one of those “Heart in your mouth moments”. The Black Mercedes started to accelerate out onto the road in front of me to turn onto the highway and come in my direction. I had a fist full of break and I remember knowing the I was on a collision course a I WAS going to ram into the side of the vehicle. It is amazing what goes through your mind in a short few seconds. I was history and I knew it. Then I saw the Mercedes slam its breaks on. I managed to slip past the front of the car. My heart began to beat again. As it happened I had managed to slow a considerable amount but I would not have been able to stop totally and it would have hurt. I was doing 100km/h at that moment when I seen the car start to pull out but it seemed like 200. I glanced at the drivers face as I went past and I could see her face in her hands and her eyes obviously knowing just how close it was and it would have been her fault. I rode on for a few kilometres and then pulled up for a rest and check my bike. During the heavy breaking I had felt the rear tire rise. I think I just needed to gather my thoughts a bit as well. The Bike was fine as has the front tire. Well it’s not the first time I (or many other bikers) have had this happen to them, but I hope it’s the last. Not a good day for photo’s so I didn’t take to many. I mounted up again and continued on. 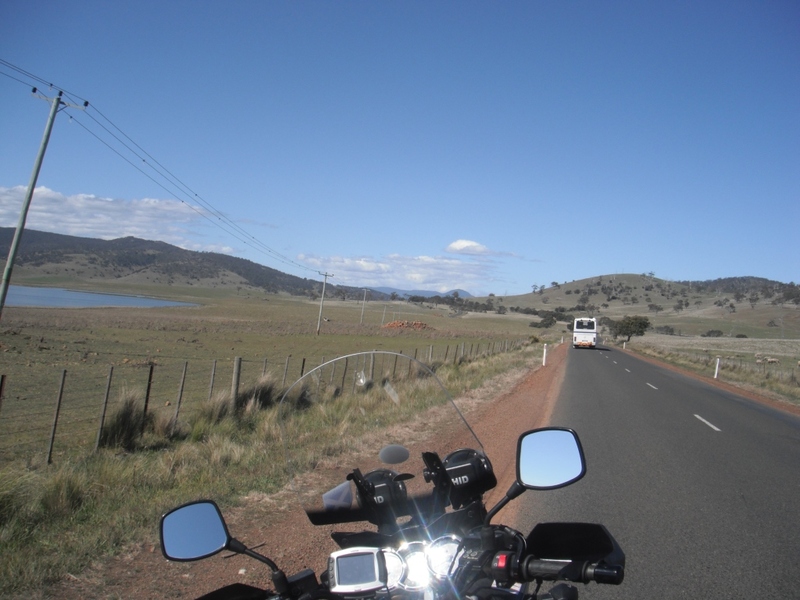 I refueled again about 100 km short of Melbourne and the rest of the ride was uneventful. After I refueled I had receive a text message from the Spirit of Tasmania request that bike riders be there by 18:00 due to the number of motorcycles traveling on board. 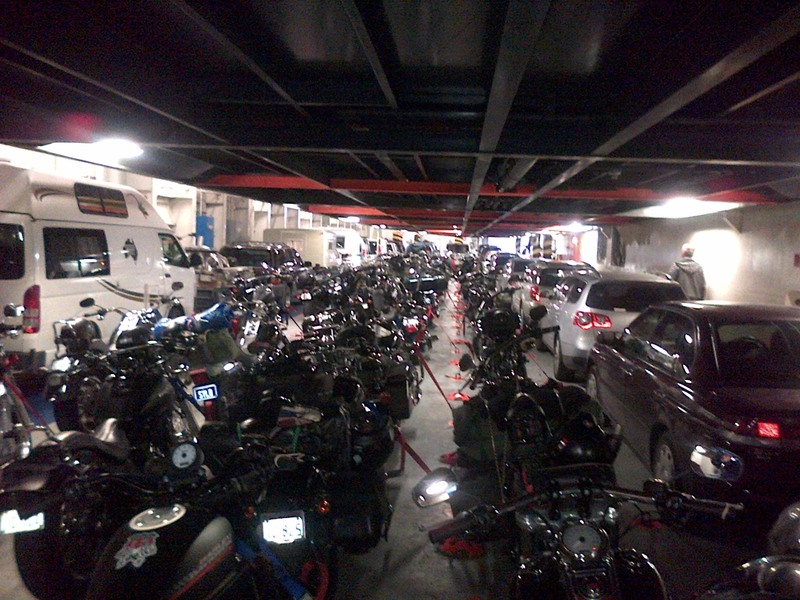 I arrived at the pier to find about 250 “Outlaw motorcycle club” members with their Harley’s. What a lot of machines. All the chrome and duco shining. It was a WOW moment. There must have half a million dollars’ worth of bikes in front of me. I also thought it could be an interesting overnight crossing. 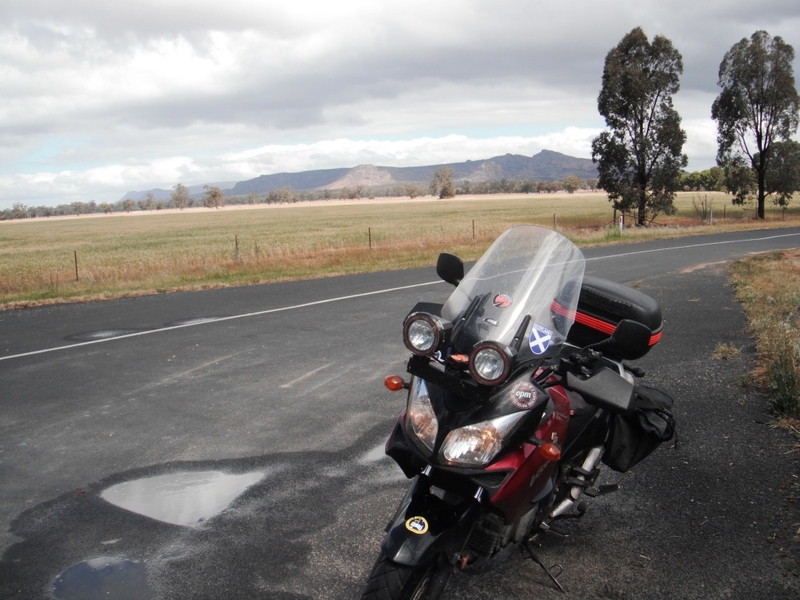 As it turned out they were all very well behaved and intended having a good ride around Tassie. Not sure if I have ever seen so much expensive machinery in one place before. The end of day 1.